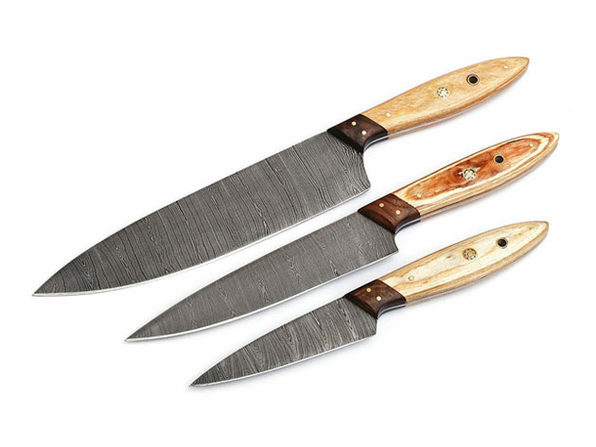 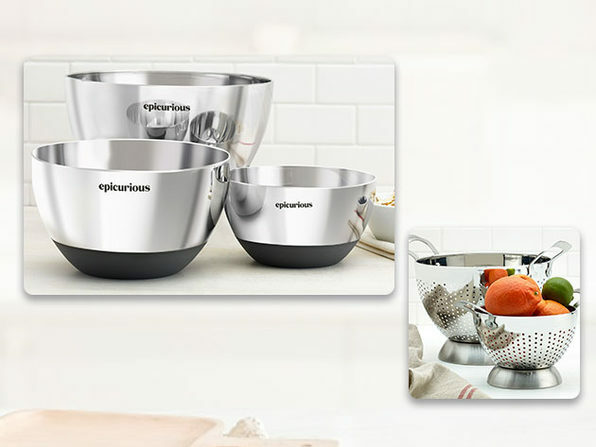 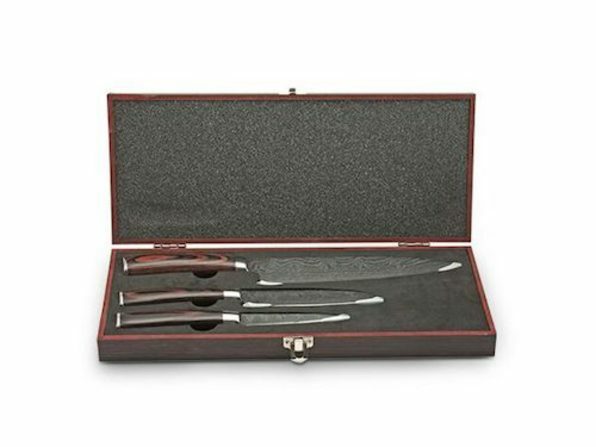 Complete with three professional-grade mixing bowls and two colanders, this set of Epicurious® accessories is a must-have in any culinary space. 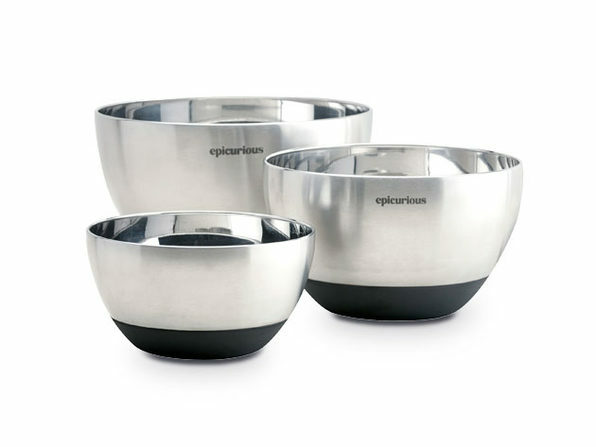 The mixing bowls sport an eye-catching design that's durable, easy to clean, non-reactive, and non-corrosive; and their non-slip bases make for safer mixing. 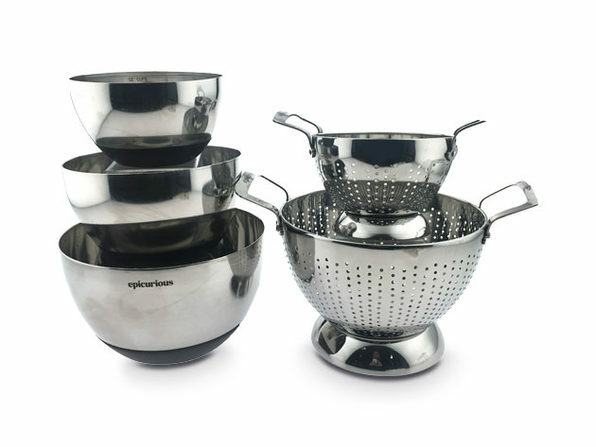 Meanwhile, each colander features a footed base to prevent food from touching surfaces and double-riveted handles that allow for a strong, secure grip.